I’ve started taking this Coursera course ambitiously called Creativity, Innovation and Change. As part of the first class, Dr. Kathryn W. Jablokow (Penn State University) introduced us to the concept of Creative Diversity and more specifically Creative Style. Myth #1: Only some people are creative (this is at the core of this whole blog!). We need to dispel the myth that “only some people are creative” where people are classified as creative and non-creative typically based on one’s main occupation. Engineers, accountants, plumbers, science teachers? Non creative! If we define creativity as ” bringing something into existence that wasn’t there before”, then why would the domain in which the idea came into being matter? Anyone can show creativity in art but also engineering, plumbing or gardening. Myth #2: Only certain kinds of ideas are creative. We often think of “creative ideas” as breakthrough ideas, revolutionary inspirations, out-of-the box strikes of genius. But there’s another kind of creativity; one that is more evolutionary (vs. revolutionary). The kind that comes out of refining/combining previous ideas or digging deeper into a problem. Out of it comes from new insights. One is not better than the other and in fact we need both because they are interrelated. Both evolutionary and revolutionary ideas feed each other into a never-ending vortex of creativity. In the second part of the class, Jablokow describes the “Creative Diversity Model”, which is based on the research of important scholars like Michael Kirton, Robert Sternberg, and Teresa Amabile. The model’s view on creativity is more inclusive and more precise. Creative Diversity Principle #1: All people are creative. Everyone, of every age and profession, from birth until death – everyone is creative. The source of creativity is in every individual, whether they are working alone or in a small group or in a large organization. They may have a few ideas or a lot of them; those ideas may be revolutionary or evolutionary, simple or complex. The only people who are not creative are, well … dead. 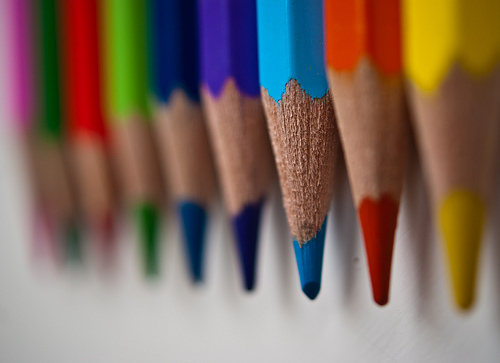 Creative Diversity Principle #2: Creativity is diverse. In other words, we recognize that while all people are creative, they are NOT creative in the same way. There are many different versions or “flavors” of creativity. There isn’t just one kind of idea or one approach to solving problems, but many – a wide range of possibilities across the human race. So, how do we describe this creative diversity? Creative level – Creative level is related to your mental capacity . In other words, it’s related to the size and the shape of the “mental bucket” you have between your ears –and what you have stored in that bucket at any particular time! You are filling up your mental bucket from the moment you are born until the moment you die. We measure creative level using things like intelligence, aptitude, knowledge, skill, and experience . So, you may have a special talent for music, or you may have a strong aptitude for math. You may be skilled in drawing, while your friend has experience in computer programming. All these differences will affect your creativity: we tend to be creative in proportion to our creative level. Creative style – Creative style is your preferred way of managing and using all the creative level you have acquired. In other words, it’s your preference for how you go about solving problems and bringing about change. Like other cognitive preferences, you are born with your creative style; it doesn’t change over time, although you can do things in ways that don’t match up with your style. Some people have a more structured creative style, while others prefer a less structured approach to change. It’s actually measured across a wide spectrum. People with a more structured creative style are more likely to offer evolutionary ideas, while people with a less structured creative style are more likely to offer revolutionary ideas. All of them are creative – but in different ways! Motive – Motive is what channels our energy as we move through life. Our creativity is affected by what motivates us and whether that motivation is present. People are motivated by different things, like money, or helping others, or achieving recognition. Depending on what motivates you, you’ll put more or less energy into what you do, and that will affect your creative contributions. Opportunity – Finally, opportunity is the availability of a problem to solve and how we perceive it. Sometimes we have access to an opportunity that others don’t, or we recognize a situation as an opportunity when others think it isn’t interesting. Those perceptions also affect our creativity and how we think about the environment around us. Creative Diversity Principle #4: There is no ideal kind of creativity. In other words, no particular creative level, or creative style, or motive, or view of opportunity is better than any other in general. The kind of creativity that’s most appropriate or most effective depends on the situation – that is, on the current problem you are trying to solve. Sometimes you need a radical idea – but not always. Sometimes you need an evolutionary idea – but not always. Sometimes you need an idea that has elements of both revolutionary and evolutionary thinking! Sometimes you need a certain type of knowledge, skill or talent – perhaps at a high level, perhaps at a low level. Motives change depending on the situation, and you may have different opinions about the importance of an opportunity. All of these options lead to change. All of them represent some form of creativity, and in some combination, they represent YOU. As the course progresses, I will report in this blog if I run into a topic worthy of a LightBulbBite! In the meantime, let me ask you a question. Where do you see yourself as a creative person? More on the adaptor or innovator side?